Situated in the most picturesque street in the market town of Ross-on-Wye, this 14th century inn maintains many of its original features, including oak beams and a large stone fireplace. The restaurant, which is also open to non residents, is extremely popular in the local area and features a 19 metre well as its centrepiece! Free WIFI throughout. This 16th century riverside inn is idyllically situated on the banks of the River Wye as it flows through the pretty gorge at Symonds Yat. The flagstone-floored bar serves real ales and a wide range of food is available here as well as in the restaurant. The charming Pilgrim Country House Hotel is situated in the sleepy village of Much Birch just 8 miles from Ross-on-Wye and 7 miles from Hereford. Most bedrooms have beautiful views across the Golden Valley toward Wales. The cosy beamed bar has a roaring fire in winter and the new conservatory opens out onto a raised decking area looking out over the beautiful views in the summer. The restaurant serves tasty snacks at lunchtime and delicious candlelit dinners in the evening. AA 5 Star Restaurant with Rooms, 2 AA Rosettes for Food. Welcome to Wilton Court, an historic 16th century hotel with an outstanding riverside location. 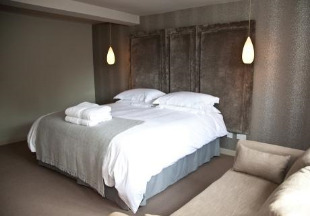 All ten recently refurbished en-suite bedrooms overlook the river or gardens. For dining, guests may enjoy the 2 rosette cuisine for lunch and dinner served either in the historic Wilton bar with log fire in winter or in the Mulberry Restaurant with its conservatory opening onto the patio and garden in the summer. 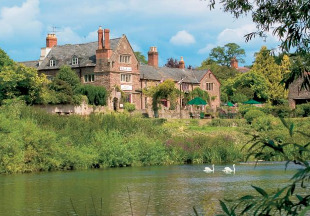 Wilton Court is just 15 minutes walk from Ross on Wye. 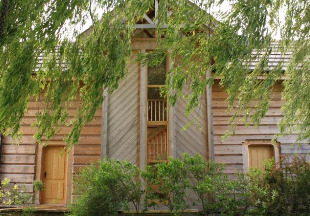 Recommended by Johansens, Alistair Sawday and the Good Hotel Guide. Children and dogs welcome. Complimentary Wifi. Reputedly the oldest pub in Herefordshire, the historic 12th century Pandy Inn is situated in the sleepy village of Dorstone and now offers five spacious en-suite guest rooms in a purpose-built eco-friendly timber house, with glorious views. England's Gate Inn is a typically Herefordshire 16th century black and white inn providing excellent locally produced food and drink. The inn offers top class accommodation in its adjacent coach house and is set in the pretty village of Bodenham on the banks of the River Lugg. 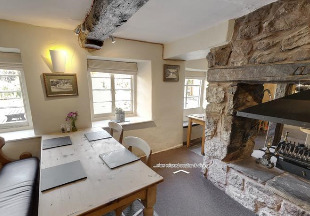 This charming 17th century coaching inn is set in the Welsh Borders area of Herefordshire. 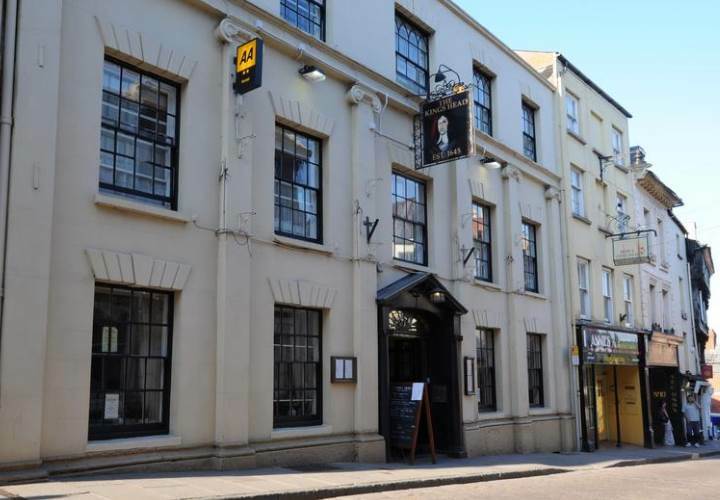 Boasting a warm atmosphere, quality en-suite bedrooms and a restaurant serving good food, The Red Lion makes a great base for exploring the Malvern Hills and the Black Mountains. Coarse, salmon and trout fishing is available at an extra cost. Dogs are welcome. This charming 500 year old inn is situated in one of Herefordshire's prettiest villages and oozes history and character. Guests can enjoy delicious home-cooked food with options ranging from pear and red onion tarte tatin, to fillet of hake wrapped in ham, and slow-braised beef. All the en-suite bedrooms are spacious and contemporary in style. Free WiFi and parking available onsite. 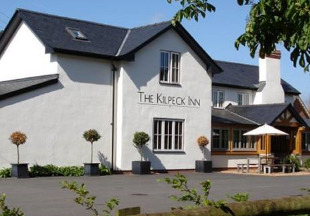 Welcome to the Kilpeck Inn, nestled in glorious Herefordshire countryside on the English/Welsh border. This charming inn offers bright, airy en-suite rooms with rural views, local ales and great food prepared from the best Herefordshire beef, poultry, pork and vegetables. 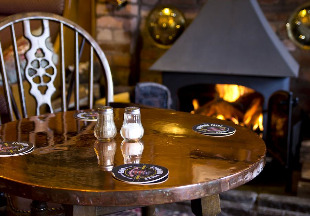 The welcoming bar echoes the inn's 18th century origins with its open fire and wooden beams. Free WiFi. Imagine a lovely warm English summers day, sitting in a beautiful garden sipping a drink and enjoying the superb setting of this Elizabethan manor house, now a fine hotel. 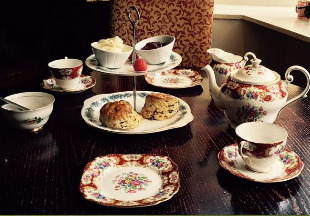 Set in the lower Wye Valley this atmospheric hotel boasts a fabulous candlelit Tudor dining room as well as a busy bar with a more informal menu to choose from. Free Wi-Fi and broadband internet access are available. Perfectly placed for strolling along the river, caneoing or fishing. On the border of Wales, Herefordshire is ideal for a short break with its famous 'Black and White' villages and market towns such as Ledbury, Ross on Wye, Bromyard, Hay on Wye and Leominster. This is also cider country; the Cider Museum at Hereford is a great place to start the Herefordshire Cider trail. The route takes you to visit cider farms throughout the county, so you can sample the cider and buy direct from the producers. Our selection of historic hotels and inns in Herefordshire is handpicked to offer great quality and great value. Here you will find traditional black and white inns, pet friendly inns, riverside inns, historic inns and restaurants with rooms. 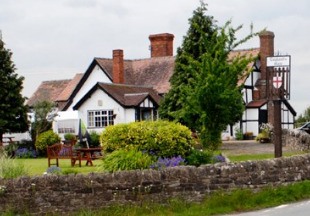 We are confident you will find your perfect Herefordshire hotel here! "The beautiful River Wye passes through Herefordshire, and one of the best ways to experience the river is to stay in a riverside inn. The Saracens Head at Symonds Yat and the Wilton Court Hotel both sit on the banks of the Wye. And if you fancy messing about on the river itself, Ross-on-Wye is a great place to pick up a canoe for hire!" Herefordshire is bordered by Shropshire, Worcestershire, Gloucestershire and Wales. 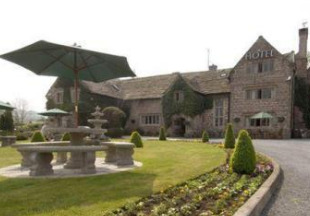 If you want to widen your search, why not browse through our selection of hotels and inns in Shropshire, Worcestershire, Gloucestershire and hotels in Wales.